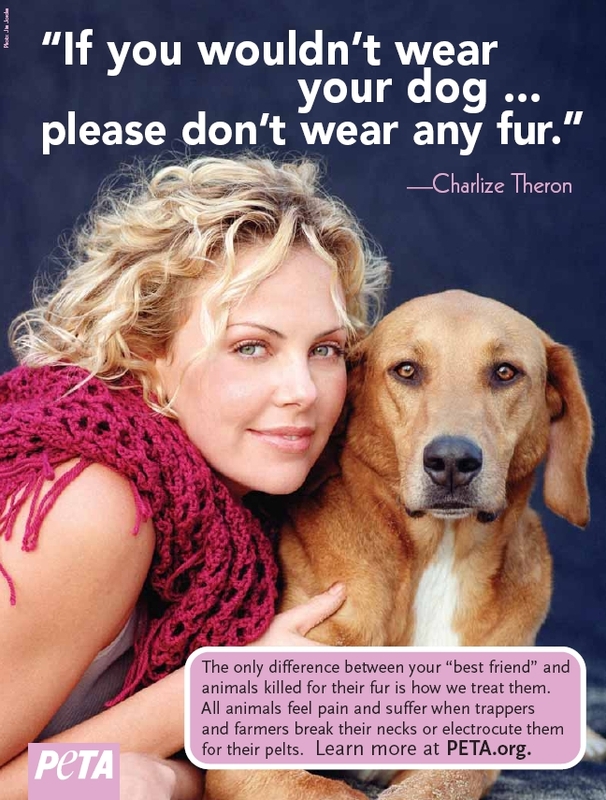 Oscar-winning actor and PETA supporter Charlize Theron will appear, as part of the organization's Fur is Dead campaign, in a new anti-fur billboard debuting on Sunset Strip this winter. The Monster star poses with her dog, Tucker, beneath the slogan "If you wouldn't wear your dog, please don't wear any fur." The campaign and the ad are the result of a PETA investigation on a farm farm in Midland Michigan where PETA claims chinchillas were being electrocuted, causing painful seizures to the animals' hearts, and having their necks broken while fully conscious.